As real estate agents, staging an unused bedroom to accommodate the local market feels like painting on a blank canvas. When there’s an extra room with multiple possibilities, how do you furnish it? The direction you choose serves as an invaluable visual aid to homebuyers—and subsequently helps sell the home. Maximizing square footage in today’s market matters more than ever, especially when homes are a median size of 2,491 square feet. Home sizes continue to increase, so how will you show off the extra space? Turn it in a spare bedroom? A home office? According to the 2016 New Housing survey, 45.5 percent of newly completed single-family homes were built with four bedrooms or more. That makes sense, given the increased demand for larger-sized homes. Even small families tend to gravitate toward three- or four-bedroom properties. Having guest accommodations is almost always seen as a plus. Ten years ago, home offices might have been perceived as a luxury home feature (or just an added bonus). But now that 56 percent of the U.S workforce have careers that are compatible with telecommuting, things are starting to change. More and more people are looking toward having an office desk setup in the comfort and convenience of their own home. 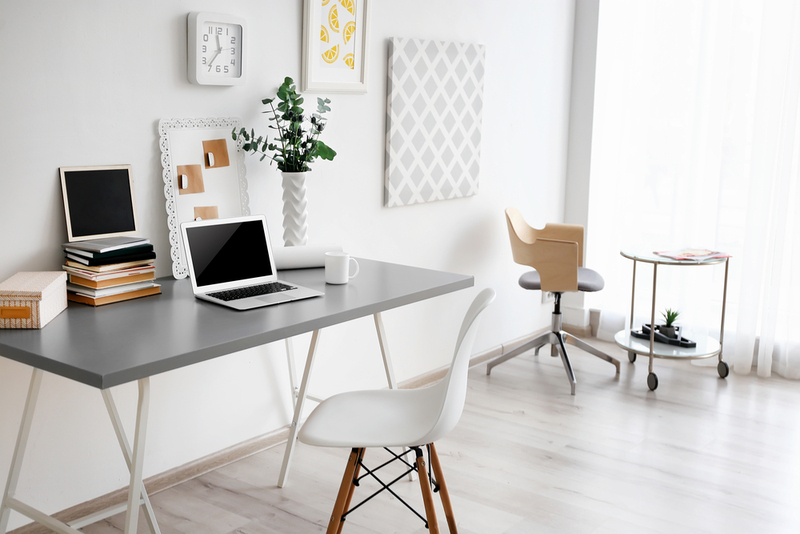 If the property already has three or four bedrooms, it might be a good idea to show off the home’s versatility by staging an extra room as a work space. When in doubt, incorporate office elements into the bedroom space. That is, if the room is large enough. A bedroom/office hybrid is a great way to highlight a dynamic space. Just keep the furniture at a minimum, with only a few carefully placed art and decor pieces to liven up the place. You want to avoid making the room seem busy. Whether you decide on featuring the space as a spare bedroom or home office, remember that the key to successful staging lies within your ability to sell a story to the homebuyer. A 25-year real estate veteran, Phil Karp knows that buyers are looking for different spaces when shopping for a new home. He loves sharing staging tips with sellers as head of Brokerage Services for Owners.com, an online resource that provides an easy and affordable way to buy or sell a home. Phil lives in the Atlanta area with his wife and their rescue dog, Dakota.